Swimmers take your mark! And… GO! Join in the fun at Westfair's Swim Camp program where children entering Kindergarten 2018 through 14 will spend their summer becoming confident swimmers. Based on their individual levels, campers are placed in carefully crafted groups that focus on appropriate skills in the water. 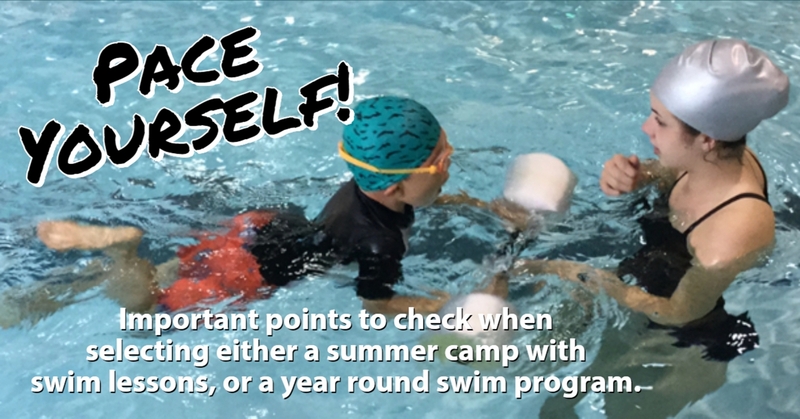 Using the American Red Cross swimming levels, campers are assessed and instruction is designed to tailor to each swimmer’s individual needs. Along with swim instruction, campers will spend valuable time learning about water safety, snorkeling, springboard diving and lifeguard foundational skills during the camp day. Splish, splash . . . but who’s teaching my class? The Westfair Swim Camp staff has been carefully selected and includes top notch American Red Cross Water Safety instructors and lifeguards. Not only do these instructors have fantastic aquatic skills, but they’re the type of counselors your children will truly connect with and learn from. The fun certainly won’t stop there! Once campers step out of the pool, there are a variety of opportunities for them on land. Campers will love playing field games, participating in fitness activities, and waiting for the “special” of the day, which will include obstacle courses, scavenger hunts, tie-dying, carnival day and more! By diving into Westfair’s Swim Camp, your child will create memories to last a lifetime. Westfair’s Swim Camp runs from July 1 through August 2, 2019 from 9:00am to 3:00 pm, with extended care options available. Call (914) 588-2971 or visit www.westfairswim.com for more information.